Every country has its own national food – and every country has its own national SERPs, right? Well yes and no. Google is the leading search engine in many countries and Google’s search results show a lot of similarities in all countries. But not in China, where Google is largely absent and Baidu dominates with a quite different set of big players. The layout of Google’s search results page is identical in all national indexes. The snippets – the individual search results themselves – look the same everywhere. Only the language and the font systems vary. 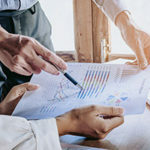 Even in the rankings for many keywords, we see Wikipedia, YouTube and Amazon leading across the world, as also highlighted in a recent analysis of the SEO World Rankings. 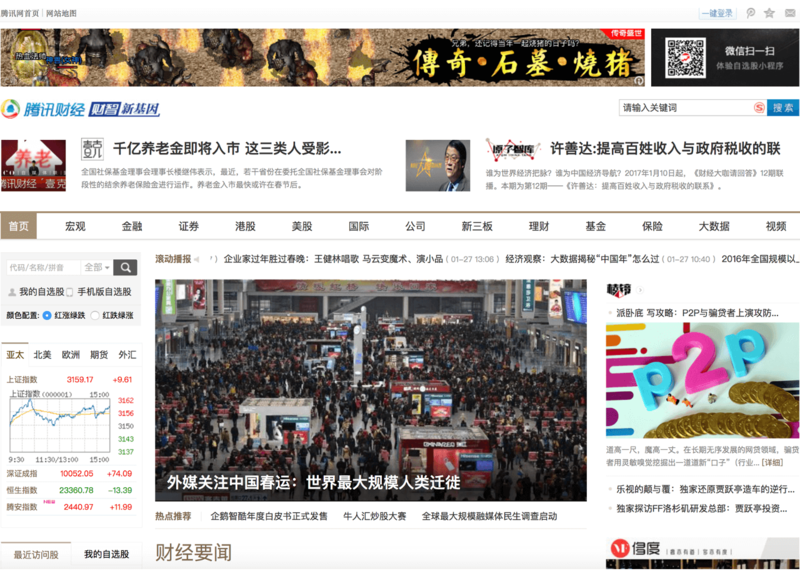 Anyone looking for the Chinese Google SERPs (Search Engine Results Pages) will be out of luck. In China, Google is a near-irrelevance. Here, you don’t Google something, you Baidu it. 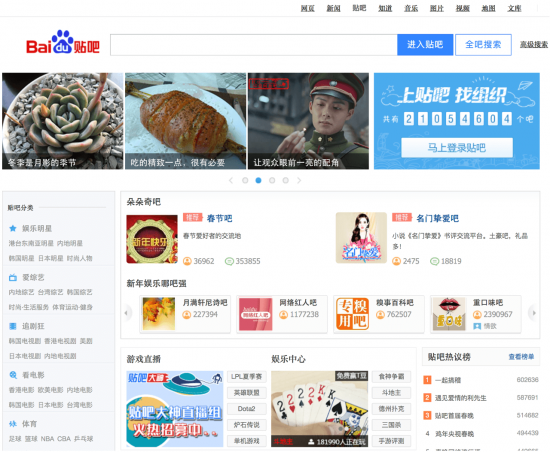 A Chinese internet user looking for something on the internet will usually turn to the native search engine, Baidu, which currently enjoys a market share in China of 50 to 80%, depending on the user group. Last year, Searchmetrics starting providing SEO Visibility results for China, using data not based on Google, but on Baidu rankings. This is reason enough to take a closer look at the big players in the Baidu SERPs, which, at first glance, look strikingly similar to Google’s results pages. 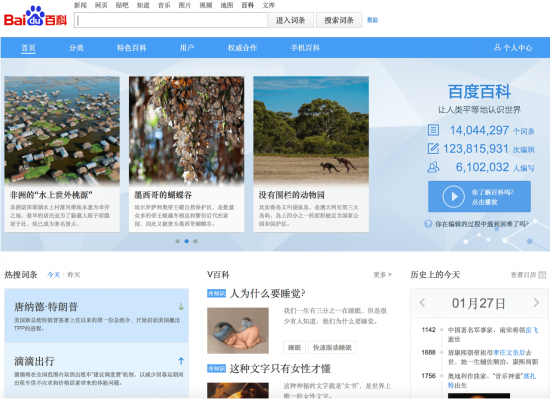 When looking through the Baidu SERPs for various keywords, it quickly becomes apparent that the landscape in China seems to be a completely different one from what we are used to with Google. You won’t find Wikipedia, YouTube or Amazon here. 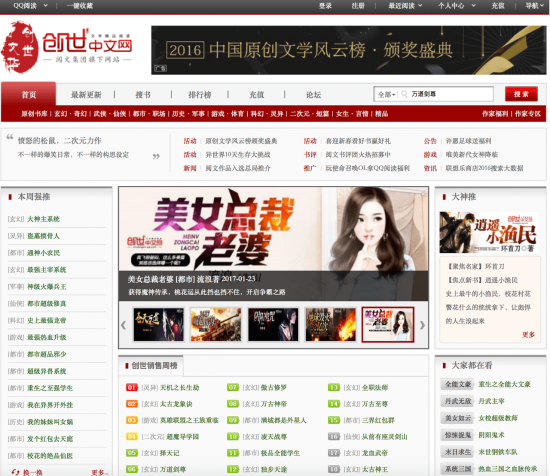 Instead, the leading domains are Baidu.com, Sohu.com, iqiyi.com and QQ.com. Why does Baidu rank itself highest? Are there search results within the search results? No – keep reading to find out what’s going on. 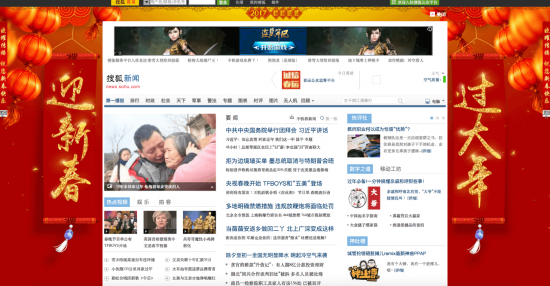 This is the first article in a series on this blog about search engine optimization in China. 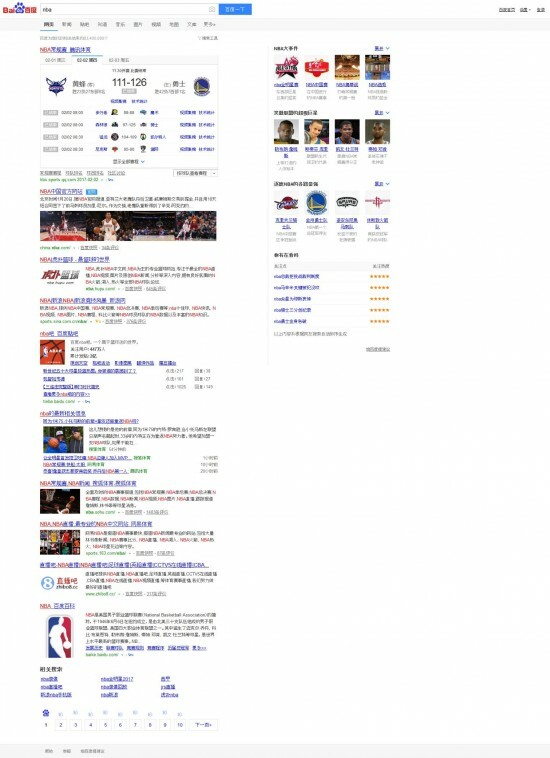 To get you started, we’ll briefly introduce the four most important players in the Baidu SERPs. 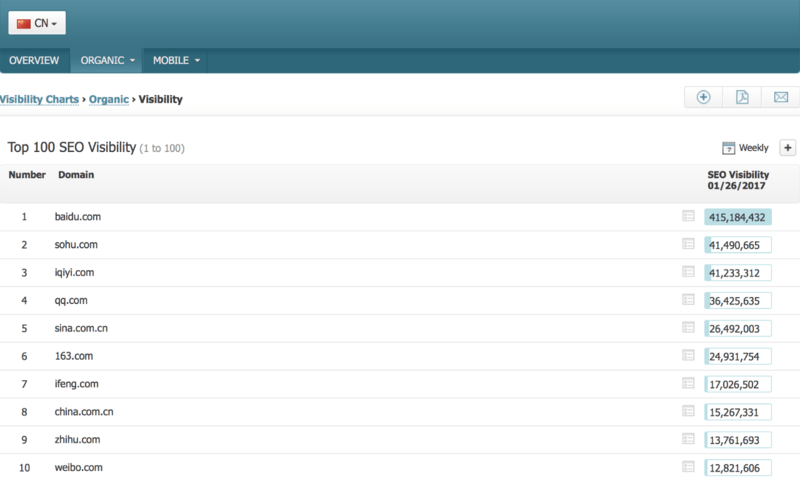 Screenshot: Extract from Searchmetrics’ list of the Top 100 domains in China by SEO Visibility. Keyword What is it? 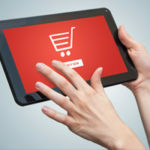 Search Volume Sub-domain Pos. Tieba.baidu.com is a social network with a highly active user base that is run by Baidu. From the outside, it looks a bit like the PHP-Nuke Community Portals of the early 2000s. In fact, it is mostly video games, anime, memes and all kinds of other material the internet has to offer that is posted, discussed and shared on this platform. Baike.baidu.com is a Wikipedia-style encyclopedia. 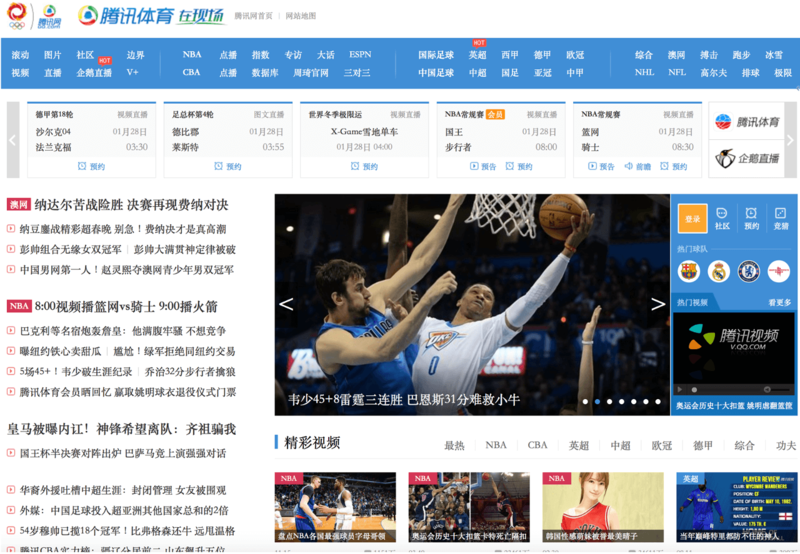 It is not quite as extensive as “our” Wikipedia, but it still serves as a good source of information from China. Tv.sohu.com is Sohu’s video portal. Equivalent websites in Europe or North America would be YouTube or MyVideo, though there are some differences. 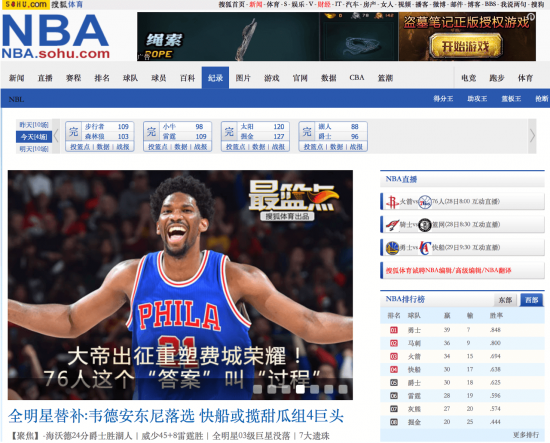 Nba.sports.sohu.com is a place for Chinese users to get news, images, videos and discussions about basketball, which is probably the most popular Western sport in China. 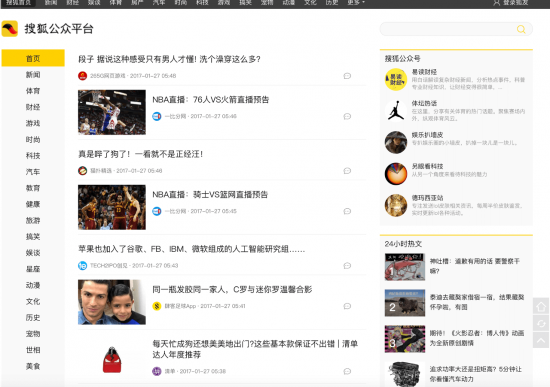 News.sohu.com is one of the best-known news portals on the Chinese internet. At women.sohu.com, the internet giant presents its magazine for women, including gossip, celebrity news, fashion and lifestyle. Sohu also has its own magazine for entertainment: yule.sohu.com covers TV, cinema, celebrities and stars. 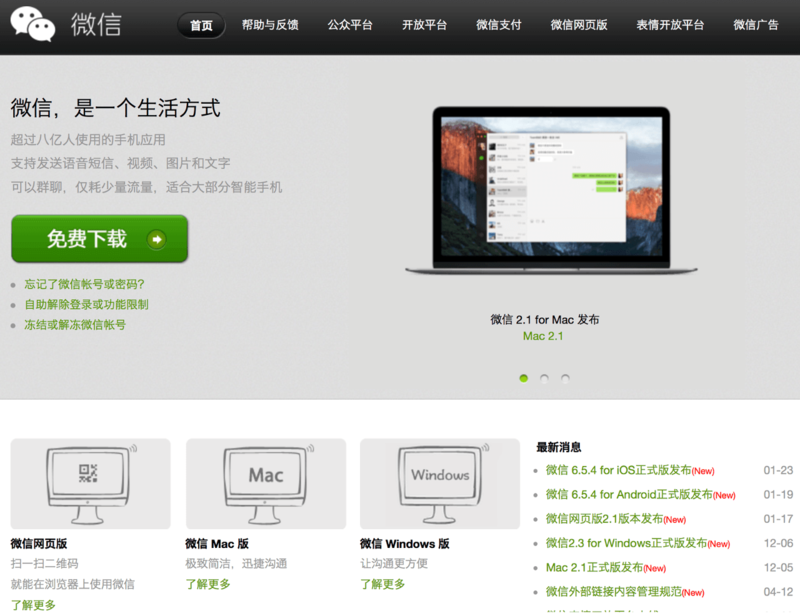 www.iqiyi.com is a video platform that carries content such as music videos, TV series and films. Some of these are only available for paying users. 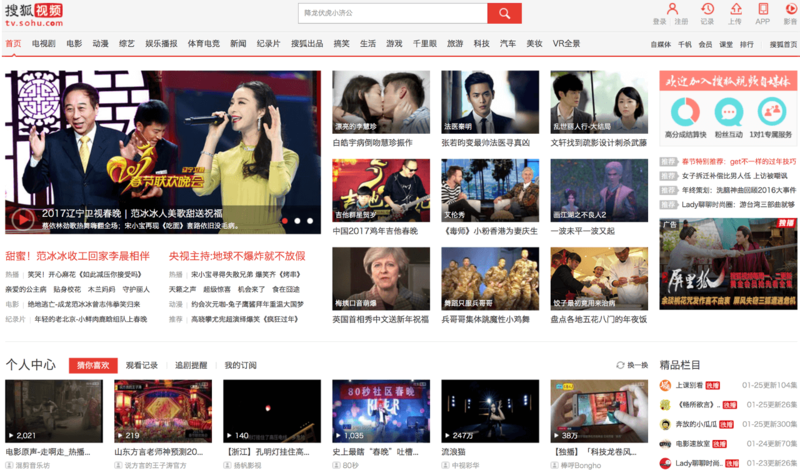 The subdomain so.iqiyi.com is where the video service provides its internal search engine, which is also indexed by Baidu (including search results pages) and which ranks for interesting keywords. The sub-domain v.qq.com is a video portal providing countless (funny) clips from TV shows and films. The social network QQ also has its own sports magazine, located at the sub-domain sports.qq.com. Both sub-domains wx.qq.com and weixin.qq.com offer different download options for “WeChat”, a messaging and all-rounder app that is also produced by the multi-billion internet corporation, Tencent. Tencent uses the QQ-subdomain finance.qq.com to publish a news magazine for financial topics. Chuangshi.qq.com is a platform where users can publish their own short stories and novels for other users to read. The website also makes it possible to offer authors financial incentives for writing. 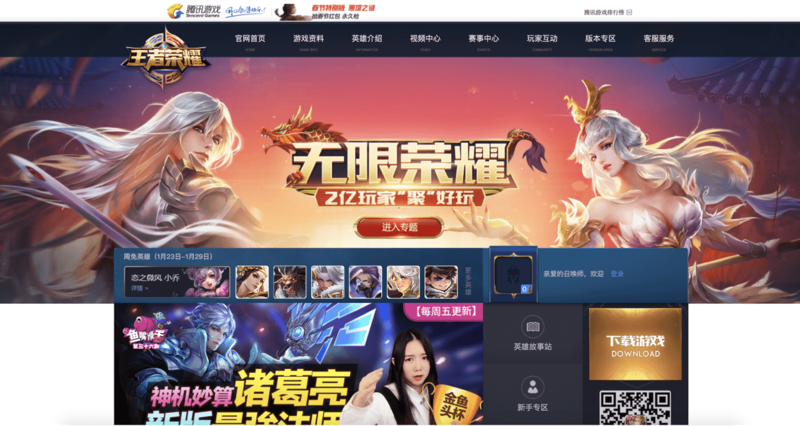 Pvp.qq.com is an online community for gamers, replete with videos, discussions and reviews. As mentioned earlier, this article is the start of a longer series that I will be using to go into more depth regarding Baidu and the Chinese search landscape. Stay tuned. Hopefully you enjoyed this first little excursion into the somewhat different world of the Baidu search results. Personally, I find it extremely interesting to see which keywords generate traffic for the giants of the Baidu SERPs. 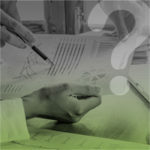 You can, of course, use the Searchmetrics Suite to take a closer look for yourself. If you have any questions or comments regarding this article, or suggestions for upcoming posts, I’d love for you to get in touch via the box below. Good read Marcus, very detailed. I’ve got a question for you. Have you considered doing a similar series for Yandex as well? I’ve been looking into it for some time and it would be nice to see an in-depth article or series of articles devoted to Yandex. What about alibaba ? 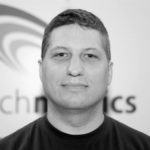 how do you break down their seo. It would be interesting to comapre these sites.